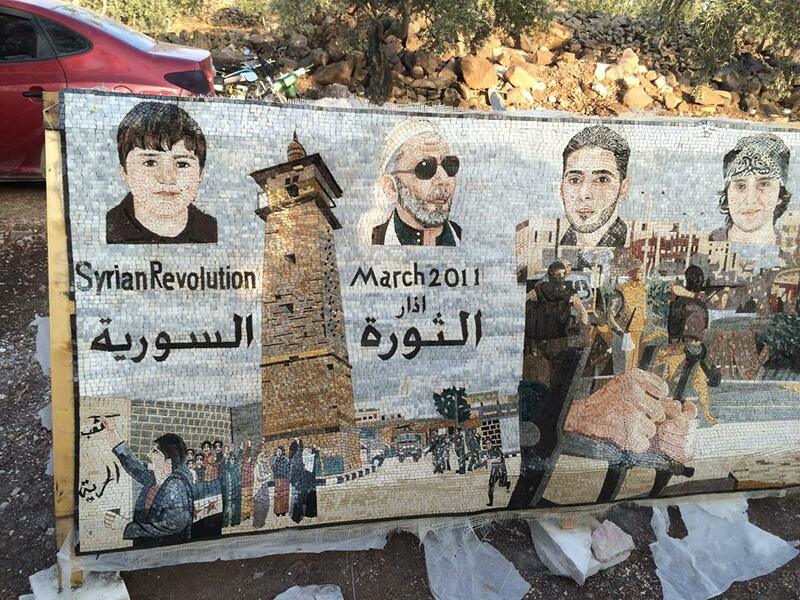 The revolutionary movement that started in Kafranbel in March 2011 has yet to run out of steam. The diverse town still raises banners and and slogans related to all events ongoing in Syria. It stands in solidarity with other towns and cities in not just Syria, but in the world. It has not adopted any sectarian or exclusivist slogans. Rather, the town has featured Syria’s social mosaic in their movement. The project, however, has not been without controversy. 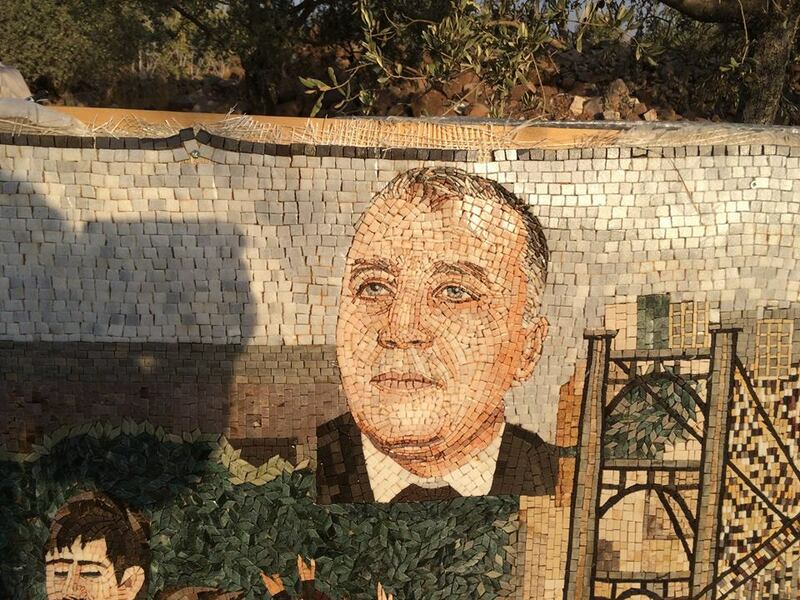 The mural features the portrait of Ghassan Abboud, a businessman and the director of the Orient Network. This image reminded many of the various portraits of Hafez Al-Assad and resurrected fears about creating an atmosphere similar to that of the tyrannical regime. Others, however, disagreed with these criticisms and comparisons, stating that Abboud is an influential actor and personality in the Syrian revolution and deserves to be honored as such. The controversy and conversation around his image began when Raed Fares, one of the activists in the city, posted pictures of the mural, including the portrait of Ghassan Abboud, on his personal Facebook page, prompting Abboud to thank the people of Kafranbel for the honor. There was an uproar: many were upset that Orient had commissioned the mural, and stated it that was inappropriate in its current location. Many said that it shouldn’t feature Ghassan Abboud and that it gave the wrong impression to those who were unaware of its context. 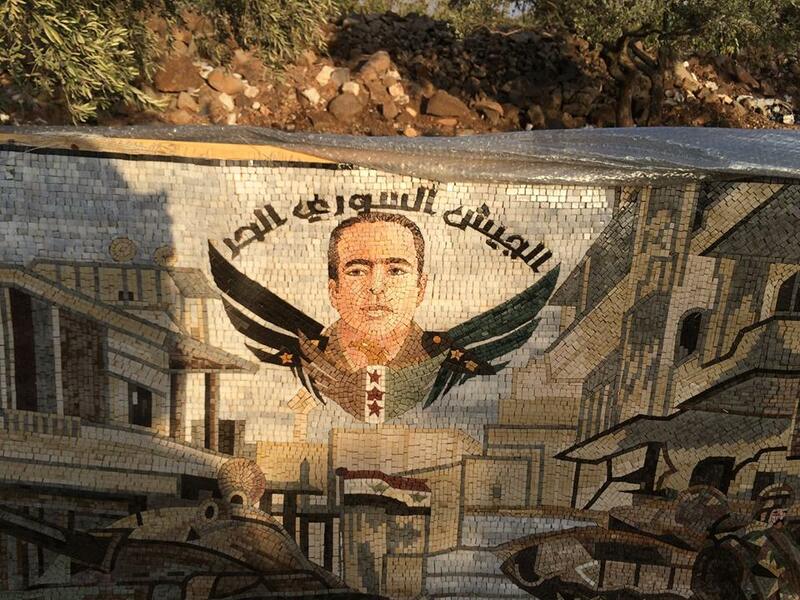 When SyriaUntold asked Ghassan Abboud for a comment in response to the controversy, he said that he was unsure whether or not the mural would be changed, given that it is a mosaic. Opinions on social media seem to be split on the inclusion of Ghassan Abboud, with many commending his contributions to humanitarian and media aid. However, others compared it to the regime that they were revolting against, saying that this is a symbol of what everyone had risen up against and an inclusion of his picture is a harkening to a culture that they no longer want replicated.